Yes, I posted this on April 1st. No, it was not a joke. Yes, it was bad timing. I had a long-winded piece that was going to go right here. I didn’t finish. Sorry. Maybe next week. I have to eat and/or sleep at some point. – This guy is single-handedly choking my search. Knock it off. – For a poster, this guy would have been better off in an auction format. It’s not in $90 BIN condition. 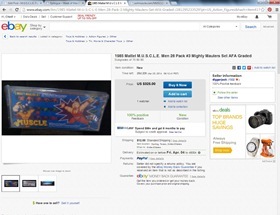 – Before you click, guess what he’s selling with a $20 BIN? Guess! – The shipping knocks me out, but if you’re in Australia – a few nice figures and a can. – I will admit that reading “Figures are in good shape with light markings” makes me nervous. – Dumb price. Nice warp. – If you have young kids, buy this book. We just found it. 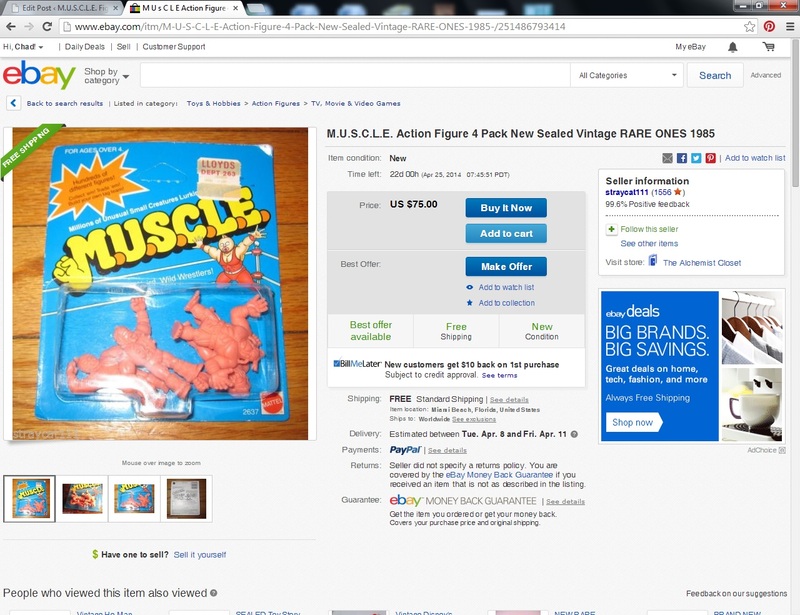 – “M.U.S.C.L.E. 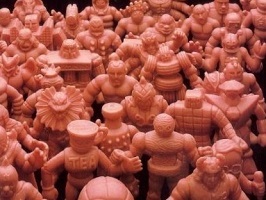 LOT OF 20 TEST SHOT PROTOTYPES, UNKNOW” Just say you don’t know what they are. Don’t make things up. – Can’t knock this guy. Super honest and starts at $0.99. – A lot like this one just makes me feel sad. – Another, and quite big, #221 head tag. – I guess this is one of the best big lots out there. I guess. – Of course they did…of course they did. – Time for another game. Guess what has a price tag of $499.99? – I don’t want to tell you what to do, but read this. 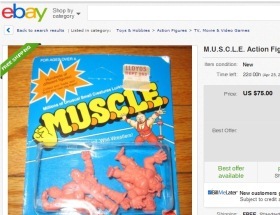 So I was looking for the M.U.S.C.L.E. auction that was the closest to me. I figured I would point out some over-priced auction. I had a totally different experience. The Hard Knockin’ Rockin’ Ring Wrestling Arena was based on Bandai’s Battle Game and Pro Wrestling Game. It looks like Bandai got a lot of use out of their ideas. Very cool. The winds of change are blowing. Last week we saw AOTW #9 defeat AOTW #8. This guy was going to be the new AOTW, but I can’t set a fair value for those cards. Thankfully there is no shortage of assholes and this guy was able to step in. Remember, you can vote can in the upper right hand corner. Without any further ado, the next AOTW match-up of 2014. I don’t remember how I first found Mike James. It might have been around the time I was figuring out the School Store logo, but it could be something else. Sometimes the stuff is a bit pervy. Sometimes it feels like art. Sometimes it looks like live-action Frank Cho drawing. And sometimes it is a mix of all of it. This week a picture came through my feed and it really made me stop. It felt like art to me. I hope I am self-aware to know that may have been a part of it. But I was far more intrigued with what kept my attention. Like any good art I had an emotional reaction to it. And no, the reaction wasn’t lust. I think the reaction was curiosity. What resonated with me? I can’t answer that. It resonates with me like a piece of abstract art. Maybe that’s what I like. My job forces me to explain things. Even this website is an attempt to bring understanding and clarity. Maybe I like art that causes a reaction, but can’t be easily explained. I’m a bit of a Star Wars snob. I feel like I’ve seen it all. So when something I haven’t seen comes along I’m pretty excited. Not this time. I wish I could un-see this one. Post by The Dented Helmet. I had the Boba Fett and Vader sets. I looked much, much cooler in mine. 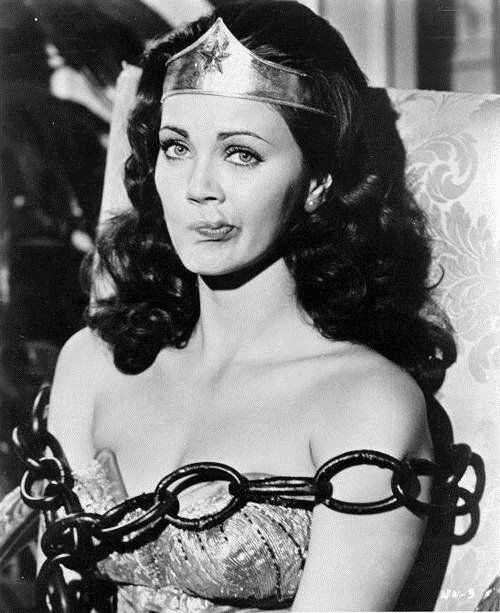 I’ll end with what might be the best picture of Wonder Woman ever. There’s no doubt she was super-hot, but this cute picture, and that cute faces oozes charm and makes you fall in love – even if it’s only for a minute. It might be the cutest picture ever of the hottest Wonder Woman ever. I may have fell victim to hyperbole. This entry was posted on Friday, April 4th, 2014 and is filed under UofM News. You can follow any responses to this entry through RSS 2.0. You can skip to the end and leave a response. Pinging is currently not allowed.